Largely dismissed by the medical profession, the increasing incidence of candida-related health problems has been called 'the silent epidemic'. All of us have the yeast organism candida albicans in our bodies. It is only when the production of candida gets out of control that there are problems - recurrent thrush, chronic fatigue, mood swings, headaches, indecisiveness, memory loss, insomnia, muscle ache, abdominal pain, constipation, loss of sexual desire - are just a few of the common symptoms that indicate that candida overgrowth may be present in the body. Identifying trigger foods is the key to combating the problem. But where do you start? 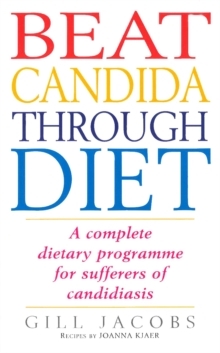 This book includes a complete Candida Maintenance Programme and features delicious and easy recipes from leading cookery writer Michelle Berriedale-Johnson.